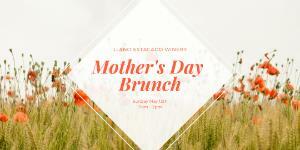 Come join us at Llano Estacado Winery for a morning out with your favorite girl, Mom! There's no better way to surprise that special woman in your life. We'll have a gourmet brunch bar, MOM-osa bar, live music, Character Selfies Photo Booth and more! It will be a morning she'll never forget!